You may have noted in our summer section we talk about the cutting height for summer. Things change in the fall as we now recommended lowering the cutting height to bring it down to roughly 2”. You should do this for the same reasons you do not leave leaves on your yard. 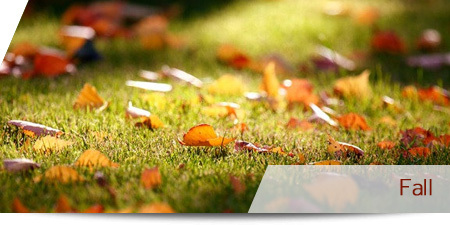 You do not want to smother the yard with extra grass that will eventually lie over and can suffocate your yard. Also, keep in mind that cutting too short will allow the weeds to take over your yard. Keeping your lawn close to 2" before the snow season helps keep the grass blades from bending under the weight of the snow.